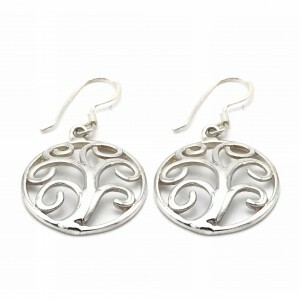 Stylized Tree of Life Earrings, featuring solid sterling silver discs with a stylized tree cut out and framed. 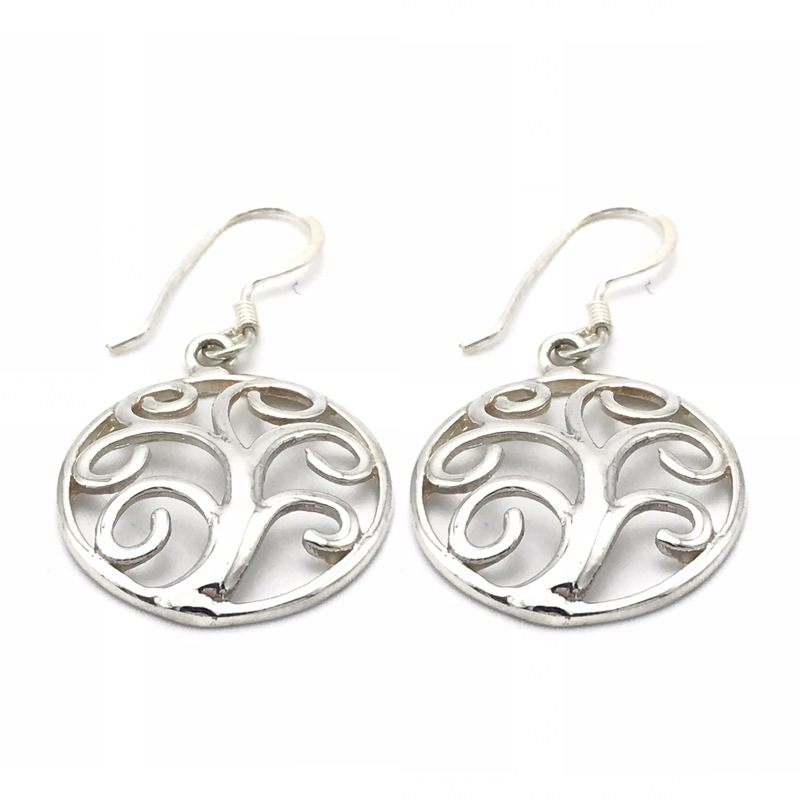 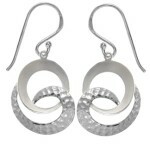 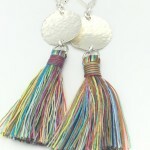 These formed disc style earrings are suspended freely on a sterling silver ear hook. 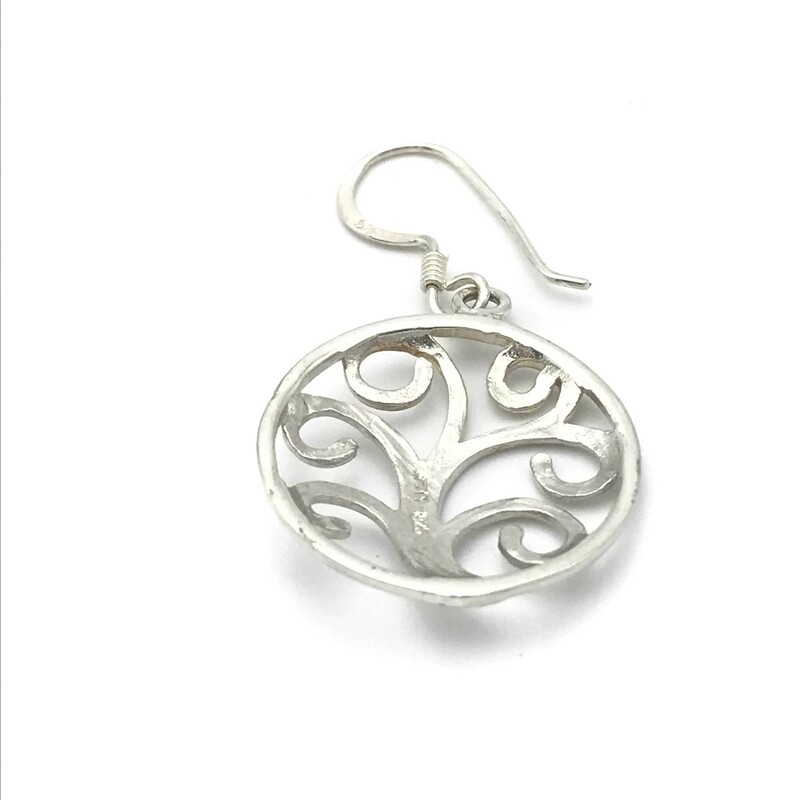 Be the first to review “Stylized Tree of Life Earrings” Click here to cancel reply.